In a recent Atlanta Business Chronicle article from March 2, Commercial Real Estate Editor Douglas Sams, writes about Atlanta’s current position as a leader among peer cities, including Dallas, Charlotte and Nashville, with a greater percentage of sought-after educated millennials in its workforce. In the story, he also outlines some of Atlanta’s efforts to continue its pace of attracting young talent to its workforce. While cities like Atlanta compete for millennial talent, companies are also reacting to this major generational shift in the workforce and are adapting workspaces to accommodate their younger workforce. 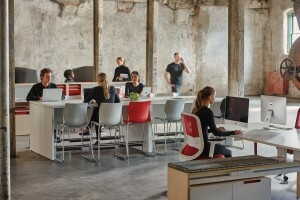 Atlanta-based Office Interiors, which has provided workspace solutions for its corporate, real-estate, educational, GSA, & A&D clients for 23 years, recognizes these changes in workplace trends and offers insight to Atlanta companies competing to attract and retain millennial employees. Space configuration is increasingly important in today’s workspace planning. Millennials welcome collaboration, knowledge sharing, brainstorming and team project execution, so open collaborative office spaces have replaced rows of isolated cubicles. As real estate costs continue to rise, however, companies should carefully evaluate their space requirements and consider hybrid spaces which combine quiet private spaces along with more open environments to maximize space usage and increase productivity. Millennial employees also value flexibility in the workplace, as they are accustomed to working in a variety of settings and not simply in a traditional office space. Companies can accommodate this flexibility through carefully planned upgrades to building and office space technology which facilitate growing workplace globalization and allow employees to work from anywhere, share information, connect with global offices and ensure data security. Work habits continue to change in this in millennial-dominated era, with a 24/7 workplace trend replacing traditional 9 to 5 hours. Employers are creating workplaces that look more like home environments, with gyms, lounge and recreational spaces, kitchens with snack-stocked pantries and interior green walls which allow outdoor breaks without leaving the office. These office space perks can help attract millennial talent and create a healthier office environment, however, careful planning and good design safeguards against them becoming distractions that reduce rather than increase productivity. As the millennial generation continues to dominate the workforce and enhancing the workplace experience increasingly becomes a top priority for employers, companies will adapt emerging workplace trends in an effort to attract the best and brightest talent. 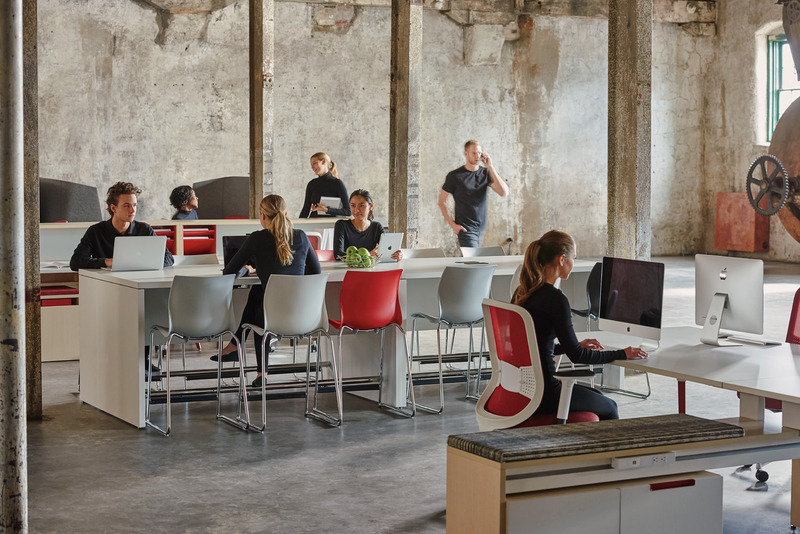 These changing trends bring new challenges in workplace design, and firms that employ inventive office space design that addresses both the needs of its people and its organization will create the most productive and competitive business environments.